THE DEPARTMENT of Education, Pepsi-Cola Products Philippines Inc., Brother Philippines, and Muntinlupa Elementary School cements their commitment to quality education. 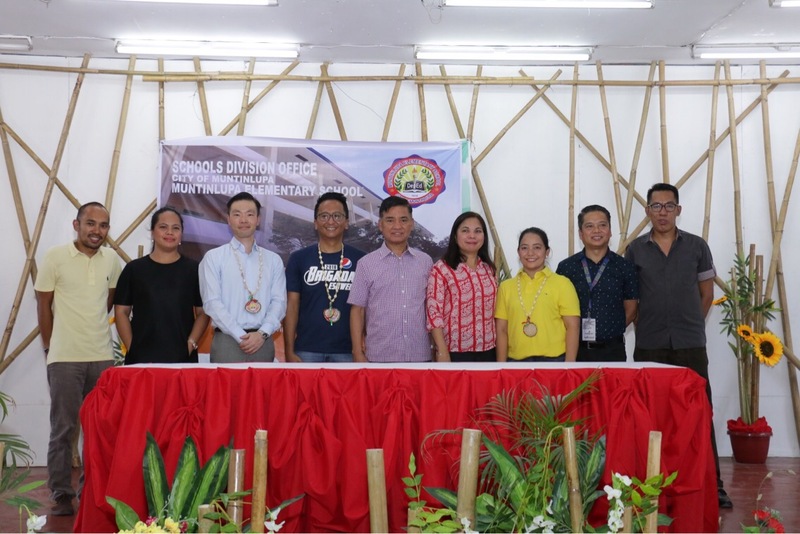 MUNTINLUPA – The Department of Education, the city of Muntinlupa, and Pepsi-Cola Products Philippines, Inc. (PCPPI) cemented their partnership and commitment to quality education at a turnover ceremony held at the Muntinlupa Elementary School (MES). “Naging magandang engagement yung partnership namin with Pepsi (Our partnership with Pepsi was a very good engagement),” said Dove Cometa, Project Development Officer from the Department of Education, who spoke on behalf of Undersecretary Tonisito Umali, in giving recognition to PCPPI for the company’s involvement in the Adopt-A-School Program. DepEd’s Adopt-A-School program aims to link up the private sector in giving assistance to public schools. Along with home and business IT solutions company, Brother Philippines, PCPPI turned over 37 printers to the Muntinlupa National High School and the Muntinlupa Elementary school as part of this commitment. “Napakaswerte ng Muntinlupa Elementary School dahil kayo ay mabibigyan ng good quality printers (The Muntinlupa Elementary School is very lucky to be receiving good quality printers). Pepsi has several branches and business units around the country and we are looking forward to arranging more turnovers in the future,” said Cometa. The turnover ceremony of PCPPI’s donation of printers coincided with the culmination of Brigada Eskwela, a nationwide initiative by the DepEd to maintain and repair facilities of public schools. PCPPI fielded over 50 volunteers to MES for the repainting of classroom walls and the school’s nutrition room. Meanwhile, Brother Philippines will be providing training for the school’s staff on how to utilize the printers. “Ito po, mga magulang, ay pagpapakita ng mga opisyales sa pamahalaan at mga private sectors ng kahalagahan ng pagtutulungan para sa kinabukasan ng inyong mga anak (This, dear parents, is the government officials and the private sectors showing the importance of collaboration for the future of your children),” declared Muntinlupa Mayor, Atty. Jaime R. Fresnedi. On behalf of the local government of Municipality, Mayor Fresnedi during the same ceremony donated school supplies and school uniforms to the students of MES. “Tulong-tulong kaya mabilis ang pagunlad ng ating lungsod, ng ating pamahalaan (We help each other, which is why there is quick progress in our city and in our government),” he said. PCPPI reiterated its commitment to building the community in which the company has been a part of for many years. The company’s main bottling plant and Head Office is located in Tunasan, Muntinlupa.